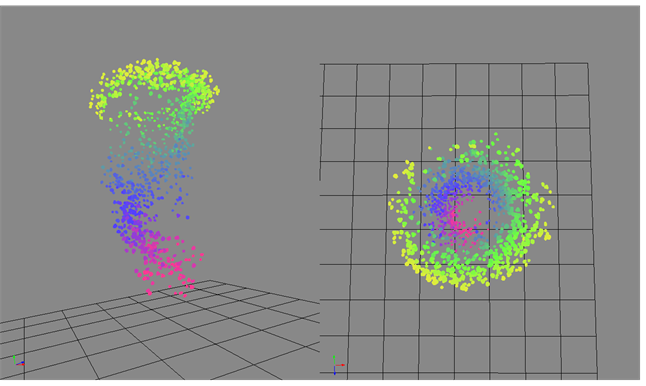 This particle allows you to define an axis as a vortex, so the particles will spin around this axis. 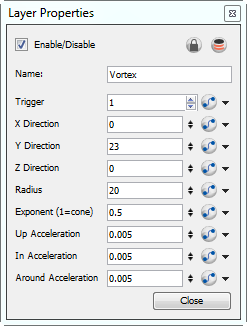 Use the Vortex Module's Layer Properties panel to adjust the effect's parameters. • X Direction: Defines the X portion of the axis of rotation for the Vortex. • Y Direction: Defines the Y portion of the axis of rotation for the Vortex. • Z Direction: Defines the Z portion of the axis of rotation of the Vortex. • Radius: Defines the radius at the top of the vortex. • Exponent (1=cone): Defines a curve that gives the Vortex a certain silhouette. 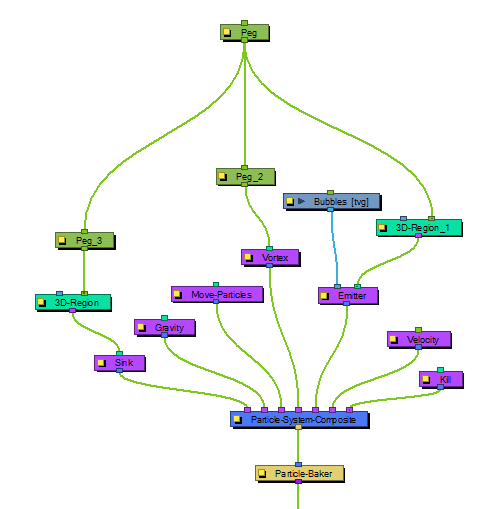 1 forms a cone, greater than 1 curves inward. • Up Acceleration: Defines the vertical acceleration of the particles that are inside the Vortex. • In Acceleration: Defines the inward acceleration of particles that are outside the Vortex. • Around Acceleration: Defines the acceleration around the vortex of particles that are inside the Vortex.